Happy Stampin' On Friday day! I pulled out an oldie but goodie for today. It's the Lawn Fawn Admit One stamp and die set. I still consider myself a beginner at Copic Coloring. 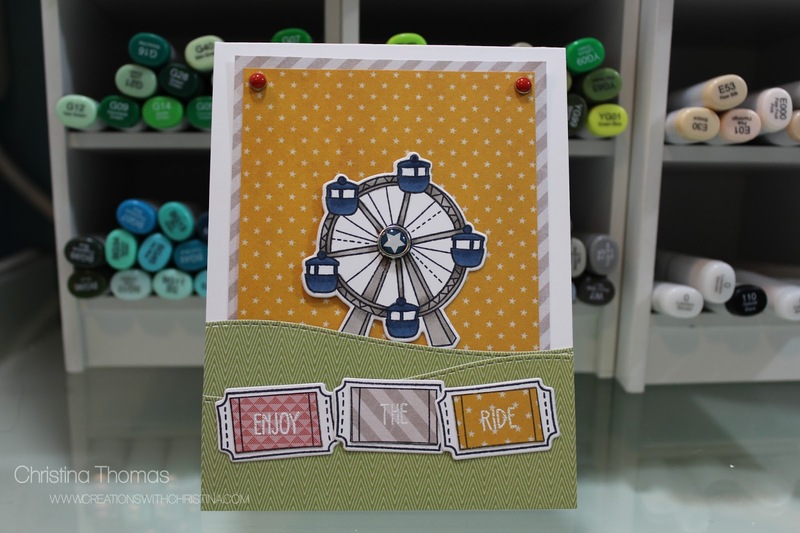 I can handle small images like the ferris wheel in this stamp set, but larger images scare me. I really need to practice more. Enjoyed this video. I have the ME landscape dies so it was good to see them properly used. TFS, Christina.